Bees have been vital pollinators on our planet for thousands of years. And man has been trying to tame them almost as long. Understanding beekeeping — its history, development, and current practices — provides interesting insight into man’s tumultuous relationship with bees. Initially humans had to destroy wild hives in order to collect the honey and beeswax inside. Over time, as man studied honeybees and their hives, beekeeping practices developed that benefited both man and bee. In the modern age, however, man has taken a step backwards in the use of chemicals that threaten our pollinators. Understanding beekeeping provides the basis for a return to more beneficial practices. The way most people react to bees, with panic and alarm, it’s amazing that beekeeping as we know it today ever came about. Yet there is evidence that man was interacting with bees as far back as 7,000 BC, long before there were protective garments or bee sting remedies. Traces of beeswax found in ancient Middle Eastern pottery shards indicate that humans started making artificial hives eons ago in an attempt to enjoy a harvest of honey. In prehistoric Greece, in fact, beekeeping (more formally known as apiculture, from the Latin apis, meaning bee) appears to have been a profession of great status. Large stores of equipment have been found indicating it was a valued industry. And the officials who oversaw the beekeepers had gold rings carved with apiary images. Evidently golden honey literally provided golden rewards! Understanding beekeeping’s roots makes clear that apiary in some form or another existed in nearly every ancient culture on the planet. Architectural discoveries, ancient carvings, and historical texts make reference to beekeeping everywhere from Egypt to Israel to Africa to China. Yet the beekeeping practices of our ancestors left a lot to be desired. Before the rise of sustainable beekeeping techniques and practices, ancient people gathered honey from hives found in the wild. This was often dangerous work since bees don’t build their wild hives for the convenience of man but for protection from predators and the elements. Harvesters might find themselves forced to climb tall trees or traverse rocky outcroppings to reach a hive. Once the hive was accessed, ancient honey harvesters would subdue the bees with smoke. Then, at the risk of being stung and swarmed by angry bees, they would break open the hive open to gain access to the honey and wax inside. As dangerous as the process could be for man, however, it was always much worse for the bees. With rare exception, the extraction process destroyed the hive, leaving the bees homeless and obliterating their colony. Today we refer to hives like those found in the wild as Fixed Comb Hives. This means it’s a hive from which the honey-laden combs cannot be removed for harvesting without damaging the combs and destroying the bees’ habitat. This type of beekeeping is no longer legal in the United States where removable comb frames are required to help monitor colonies for diseases. Fixed Comb Hive beekeeping remains prevalent in many poorer countries, however, despite its destructiveness. This is because modern beehives are not readily available or affordable in these areas. Locals use whatever materials are on hand to create hives. Thankfully charitable organizations like Bees for Development work in these countries both to promote beekeeping for its economic benefits and to teach more sustainable methods of Fixed Comb Hive beekeeping. In the 18th century, man finally began studying bees to gain a greater understanding of them. Using tools like glass-walled hives and compound microscopes, early scientists shed light both on the inner workings of bee colonies and the anatomy of bees themselves. Francois Huber, often referred to as “the father of modern bee science,” was the first to understand that a single queen rules the hive and gives birth to all its inhabitants. Every bit of knowledge gleaned about the life of bees played a role in developing affordable and sustainable methods of beekeeping. 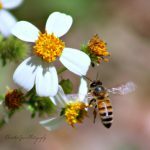 One could argue that it was the discovery of what is called “the bee space” that was most crucial in leading man to understanding beekeeping’s potential. The Bee Space is an area of 1/4″ – 3/8″ between honeycombs that bees do not block but leave open for passage. By building artificial hive frames with The Bee Space already accounted for, man “tamed” the bees into building combs within frames that could easily be moved, inspected, and harvested without destroying the hive. This is a win for the bees and the beekeeper. The 19th century is when modern beekeeping equipment and practices truly took hold. Inventors around the globe were perfecting bee-friendly hives that allowed for enhanced honey harvesting that minimized damage to the combs and the bee colony as a whole. Selective breeding created strains of heartier bees who produced more honey. Honey extractors were designed and perfected to maximize harvest while, again, minimizing destruction of the hive and its inhabitants. Beekeeping suits, smokers, and other tools of the trade began to be mass-produced and became more affordable. All of these developments and advances led to beekeeping becoming the multi-million dollar industry we know today. Beekeeping practices as we know them in the 21st century are the result of scientific study, advanced technology, and man’s unrelenting determination to tame the bees. While ancient man, at his own peril, had to go in search of honeybee hives in the wild, modern man has brought the bee to his own backyard. Today one can choose to be a professional beekeeper or simply a beekeeping hobbyist. Equipment is readily available and affordable, and knowledge is abundant for anyone with a desire to learn. Backyard/Hobbyist/Suburban Beekeeping Hives are maintained on the personal property of an individual or family. The number of hives kept will vary based on the physical space available and manageability for the individual/family. Harvest is typically for personal use or, in larger quantities, might be sold locally through farmer’s markets or at community fairs and festivals. Urban Beekeeping Small-scale, one- to two-hive beekeeping endeavors located in more densely populated cities. Bees are kept for enjoyment, environmental support, and for a personal store of honey and beeswax. Advances in knowledge and technology have definitely improved the art of beekeeping and the lives of kept bees through the centuries. 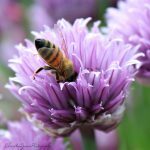 Unfortunately some of our more recent agricultural advancements, namely the use of pesticides and herbicides, have gone a long way towards undoing the good of those beekeeping advancements. Today the future of beekeeping and bees themselves is in jeopardy. The chemicals we’ve used to douse our fields has caused devastating harm to our pollinators. Since we cannot survive without bees to pollinate our crops, we need to make changes quickly. Understanding beekeeping requires that we recognize the current threat and take steps to remedy the situation. Immediately. Because otherwise there will be no future for beekeeping. The good news, though, is that we can all help. We can stop using harmful chemicals and create bee-supporting gardens and habitats. We can join the front lines and become a backyard or urban beekeeper ourselves. And we can support legislation that supports our pollinators. Together, we can keep the future of buzzing with possibilities.